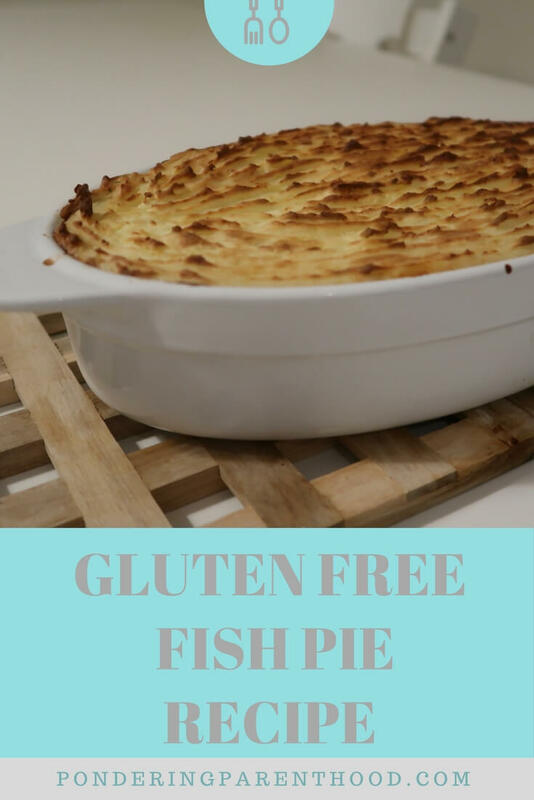 When I started this blog, I didn’t anticipate posting recipes, but on seeing a photo of my gluten free fish pie on Instagram, my follower @nikkifrankhamilton requested the recipe, and I thought it would be rude to refuse! 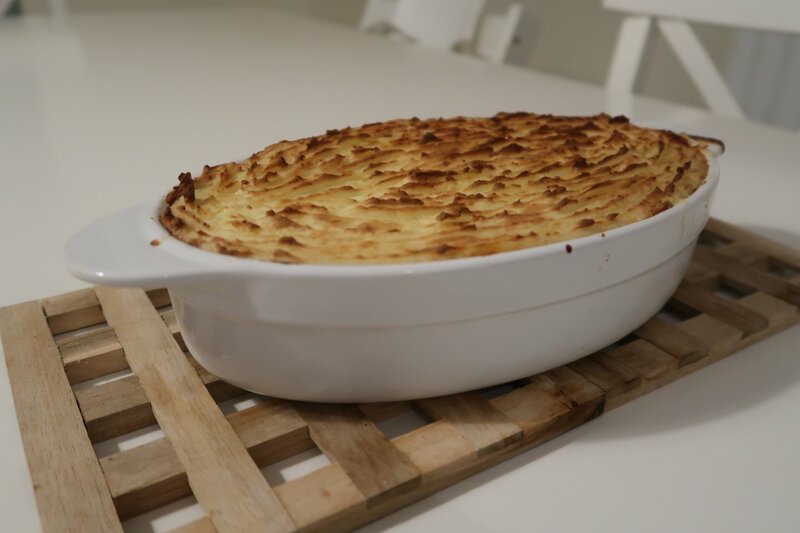 My fish pie is very basic and contains very little veg which I usually serve alongside (generally spinach, carrots and broccoli or whatever else I can find in the fridge!). Serves 2 generously, but we usually end up with a third lunch-size portion left over. Preheat the oven to 180C (I have a fan oven so you might want to make it a bit hotter if you don’t). Chop the potatoes and pop them in a saucepan of water to boil. Meanwhile, chop the chives then cook them in the melted butter in a small pan. Stir in the flour using a whisk. Whisk in the milk and keep stirring until the sauce thickens. Stir in one handful of cheese. Season with salt and pepper to taste. Once you’re happy with the thickness of the sauce, stir in the fish mix and spoon the whole lot into a dish (you can get an idea of size by my photo). Mash the potatoes with a little milk and butter then spoon it evenly on top of the fish sauce mix. Sprinkle over the other handful of cheese, pop it on a tray and shove it in the oven for around 45 minutes. Serve with a selection of steamed veg. It tends to overflow, which is why I put it on a tray! "Times I’ve been mistaken for being pregnant #2"
"Four ways to ease a cold during pregnancy"